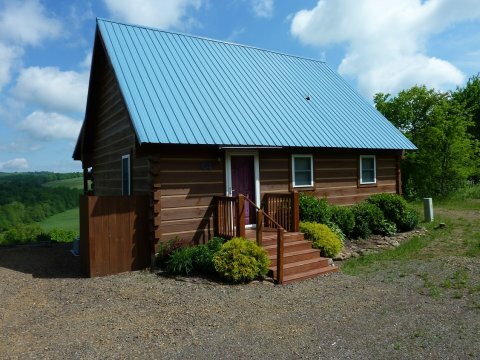 Desirable cabin condo at the end of the road allowing for three sides of privacy and a long range view from the highest location in Blue Ridge Passage Resort. Recently restrained and resealed. From the Intersection of Hwy 58 and the Blue Ridge Parkway, go East on 58 1.5 miles. Turn left into Blue Ridge Passage Resort at Cockram Mill. Proceed up the hill to the last cabin on the left.